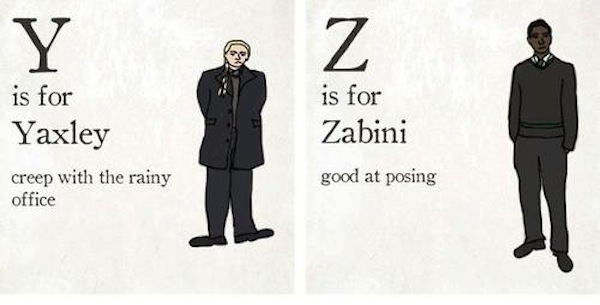 We may all know the alphabet, but every once in a while a 'refresher' is in order. 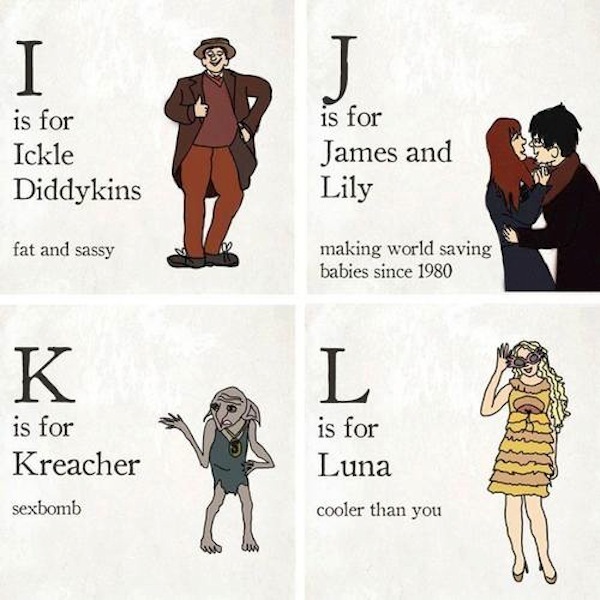 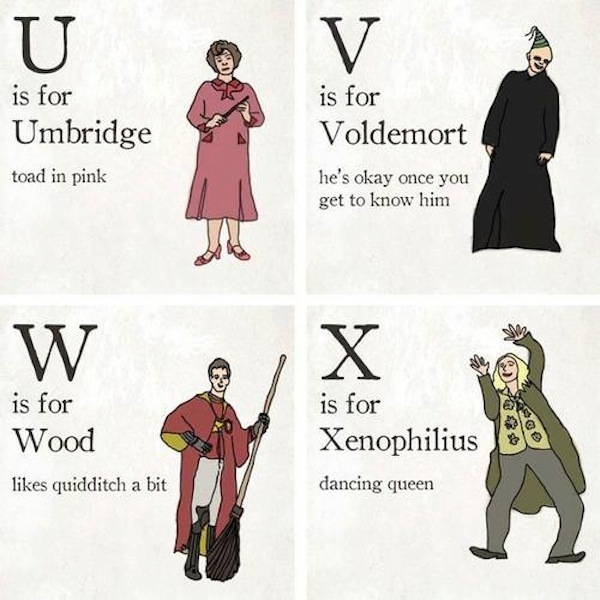 Australian illustrator and avid Harry Potter fan Kayla Pyke has helped us along with this compilation of Harry Potter characters, posing alongside an alphabet and a witty one-liner that sums up a memorable trait about them. 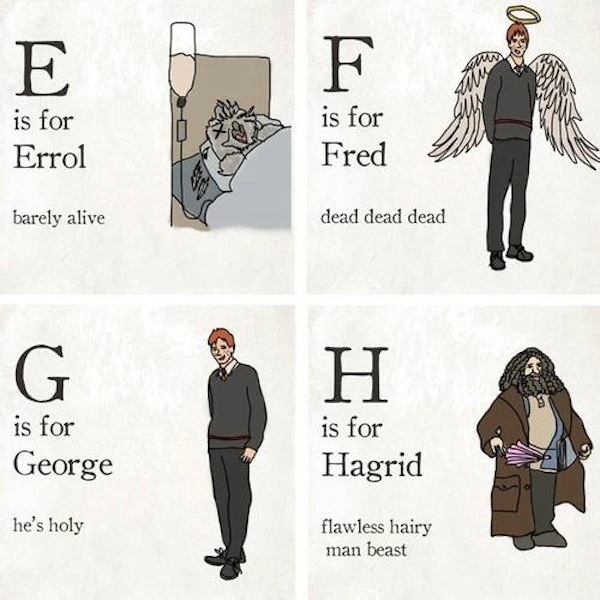 'A' is for apple, and 'D' is for dog, you say? 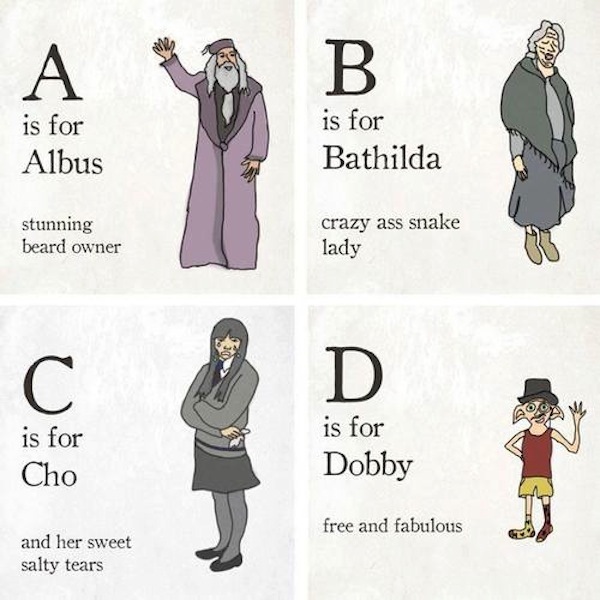 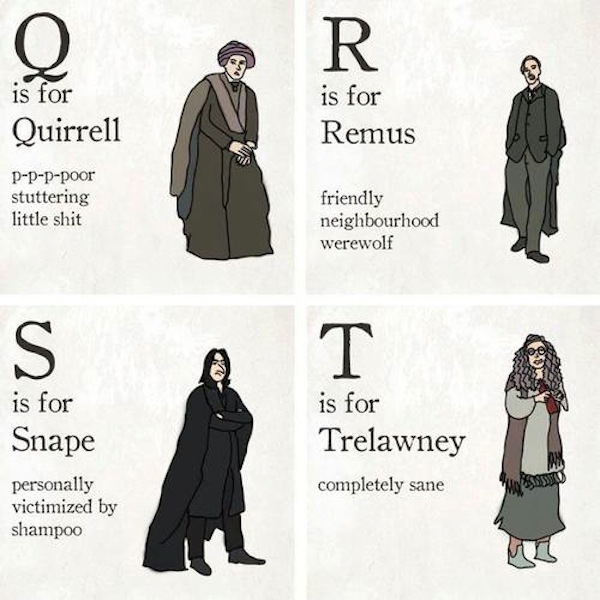 'A' is for Albus, the "stunning beard owner" and 'D' is for Dobby, who is a "free and fabulous" house elf.